Despite its youth, PAMP Suisse is one of the most respected refineries in operation today. 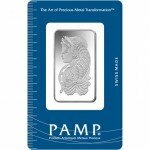 In less than 40 years, PAMP has established itself as the world’s leading bullion brand, producing some of the highest quality gold and silver bars on the market. 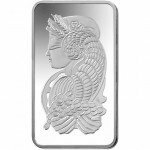 The 1,000 Gram PAMP Suisse Fortuna Silver Bar features the popular design of the Roman goddess on one of the world’s favored silver bar weights. Today, you can purchase this brand new 1,000 Gram Fortuna Silver Bar from Silver.com. Contains 1000 grams of .999 pure silver. Lady Fortuna is known as the Roman goddess of fortune. 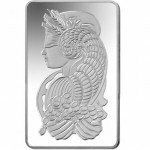 Her image dates back to the time of the Roman Empire, and is revived by PAMP Suisse on its popular line of Fortuna silver bars. 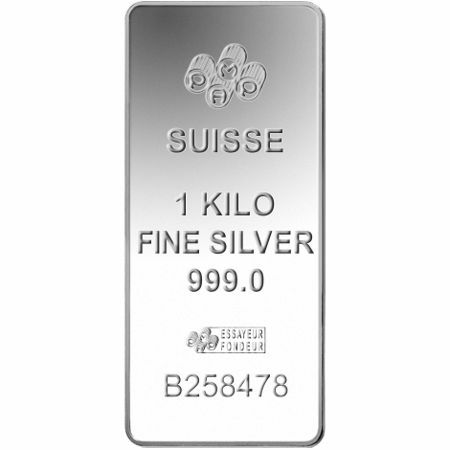 The 1,000 Gram Silver Bar is a particularly popular choice because it allows consumers to invest in a large quantity of silver in a manageable size and weight. 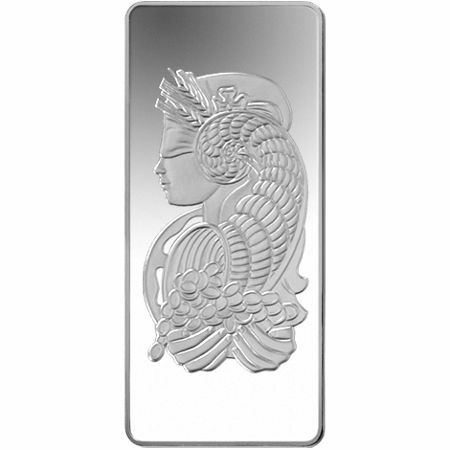 On one side of the 1,000 Gram PAMP Suisse Fortuna Silver Bar is the image of the goddess herself. She is featured in a left-profile portrait. A cornucopia that rests atop her head cascades down to her hands, which are cupped to collect a wealth of coins overflowing from the cornucopia. On the opposite side of the bar is the corporate logo of PAMP Suisse. Individual circular tubes bear the letters PAMP, while the word SUISSE is engraved below. Additional engravings include “1 Kilo Fine Silver 999.0,” as well as the assayer’s mark and individual serial number of the bar. PAMP Suisse was established in Ticino, Switzerland in 1977. The refinery is an individual entity not associated with any national bank. PAMP operates one a state-of-the-art facility in Switzerland, as well as an advanced fabrication facility. PAMP operates today as part of the MKS Group, a leading global precious metals and financial services company based in Geneva, Switzerland. 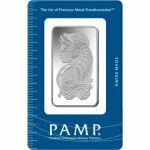 If you have any questions about the 1,000 Gram PAMP Suisse Fortuna Silver Bar, other Silver.com products, or the online purchasing process, simply contact our associates at 888-989-7223. You can also use the website’s live chat feature to contact a member of our staff.